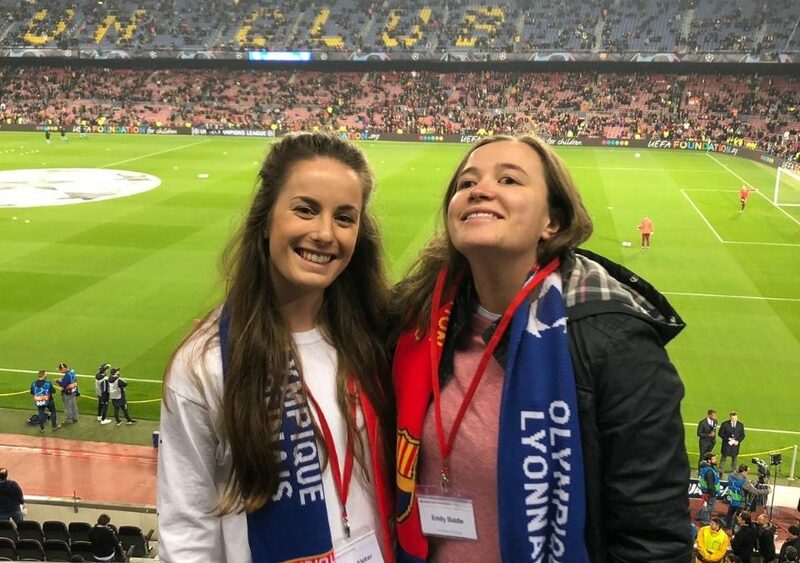 On 12th March 2019, our Women’s Football Club 1st team captain, Georgia Slater along with the club’s Treasurer and incoming President, Emily Biddle, embarked on a once in a lifetime trip to Barcelona as part of Santander UK’s initiative to support female talent in both their sporting and professional lives. 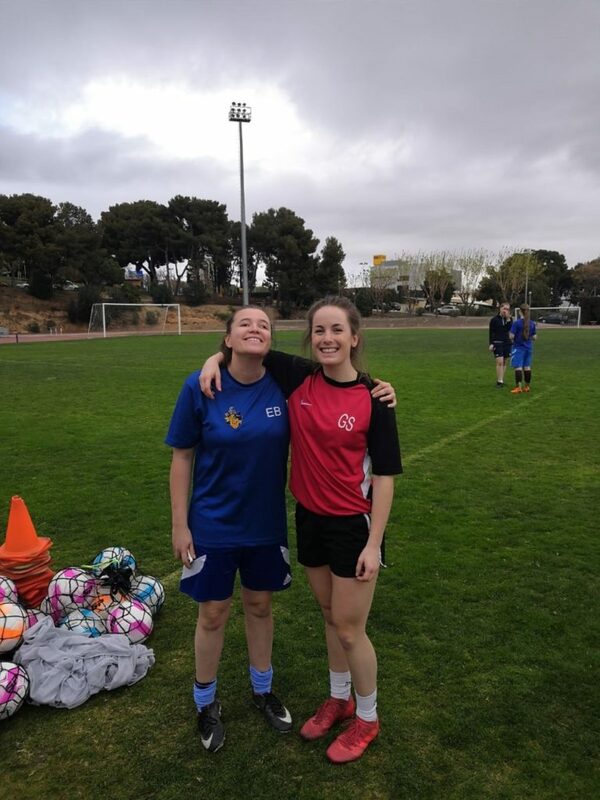 Georgia and Emily joined a select group of leading footballers from women’s football clubs at UK universities, who participated in a range of events, tours and training. 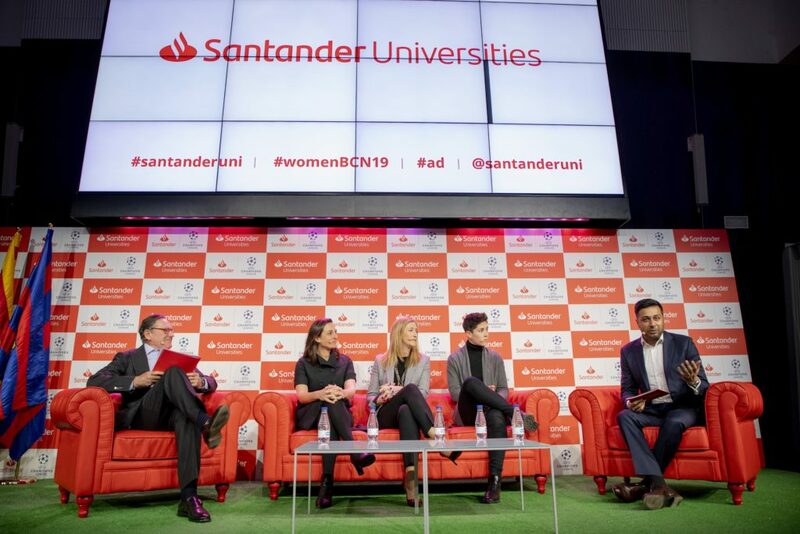 The programme, organised by Santander Universities, was designed to help build critical thinking and management skills for female talent, both through sporting and wider leadership activity. The activities kicked off with a panel event on women’s leadership, with contributions from Maria Teixidor, Board Director & Company Secretary of Barcelona FC; Laura Ràfols, FC Barcelona; Matias Rodriguez Inciarte, Vice-Chairman Banco Santander & President of Santander Universities; and Susan Allen, Head of Retail and Business Banking, Santander UK, with the session moderated by Manroop Khela, Head of Transformation & CEO’s Office, Santander UK. They were also given the chance to network with the Panelists after the conference! The ladies were given some time to sightsee around Barcelona, visiting the Sagrada Familia and other city attractions, before heading to Camp Nou Stadium (the second biggest stadium in the world) where they watched the Barcelona vs Lyon Champions League last 16 game. “This was the biggest game most of us had ever seen so it felt like such a privelege. The atmosphere was amazing, and Barcelona won 5-1 so it was a really great game to watch”. A huge thank you to Santander for providing such a fantastic opportunity!